Why is it Important to Consider Your Will When Going Through a Divorce? When you are in the midst of a separation or divorce, your main concerns are likely your children’s well-being, how your property will be divided and how this will affect you financially. and possible health issues you may incur as a “single person”. An Absolute Divorce is the legal term for obtaining a divorce in North Carolina. North Carolina is a no fault state; meaning the grounds for asking the Court to enter a judgment for an Absolute Divorce is that you have been separated 366 consecutive days (a year and one day) from your spouse and have the intent to remain separate and apart permanently. An absolute divorce simply gives you the legal right to remarry. It does not address the issues of property division, child custody, spousal or child support. Your separation and divorce should include discussions and review, with your attorney, of your current Will, Power of Attorney and Healthcare Power of Attorney. More than likely, if you have all of these important documents already, you have named your spouse as the beneficiary or person to determine your health and/or financial issues in the event you become incapacitated. If you do not have these documents, or do not have them reviewed and updated, and you are separated or divorced, your current spouse may benefit or have control over your estate, healthcare or financial affairs in the event of your death, healthcare emergency or if you become incapacitated. A thorough review of your Will, Healthcare Power of Attorney and your Power of Attorney. Revision of your Will, Healthcare Power of Attorney and your Power of Attorney (if these directives are already in place). Preparation of your Will, Healthcare Power of Attorney and your Power of Attorney (if these directives are not in place). So, what are these documents exactly and why do I need them? This document names an Agent, of your choice, to represent you and handle specific issues for you. Depending upon the terms of the Power of Attorney, your Agent could be authorized to make financial and health care decisions on your behalf. There are different types of Power of Attorney and each has a specific purpose. 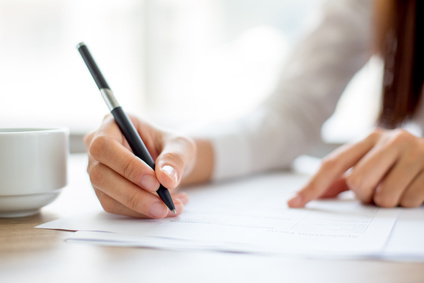 A Limited Power of Attorney is usually assigned for a specific purpose and time period. It’s often used when you can’t handle certain affairs due to other commitments or short-term illness. For example, you could grant someone the right to collect a debt or sign a deed for you if you are out of the country. A General Power of Attorney is more comprehensive and gives your Agent more power to act on your behalf. You can give your Agent the authority over all your financial transactions, signing documents, settling claims, operating your small business or any other financial duties you specify. The document becomes effective immediately upon signing but will terminate upon death, disability or incapacity. You can revoke it at any time. A Durable Power of Attorney is mainly the same as a general Power of Attorney, but it remains in effect even after you become incapacitated. That way, your Agent can manage all your affairs after your incapacitation without need for court involvement. Do you want life-sustaining treatments such as cardiac resuscitation, mechanical respiration, feeding tube or antibiotics? Do you want pain relief only? Would you want artificial life support removed if you are found to be irreversibly brain dead? Do you want to donate your organs? A Living Will is important if you have strong preferences for your end-of-life care but do not have anyone you trust to carry them out. For instance, even though you may prefer not to be kept alive by mechanical respiration, a family member may have a hard time carrying through on your preference if you have not documented it. A Health Care Power of Attorney names someone, of your choice, to make health care decisions on your behalf if you are unable to speak for yourself. It can include the directive like those in a Living Will, but is more flexible since it is impossible to predict every possible medical situation that may arise and your exact preferences for each situation. We understand that going through separation and divorce is a difficult time and the changes come fast and furious. New Direction Family Law is here to help you through those changes that affect you now and those in the future. Protecting your financial future and putting directives in place in the event of declining health or death can ease your fears and help you work toward the life you want and deserve. We offer our V.I.P. Divorce as a “one-stop-shop,” but not a “one size fits all.” For a flat fee, our package includes handling your absolute divorce from start to finish, revising or drafting a Will, Power of Attorney, Living Will or Healthcare Power of Attorney that is tailored to you personally and that protects you and those you want to care for. We can also provide any and all of these services on an individual basis.